A senior Tory MP says he would welcome a delay in next week’s Commons Brexit vote, if it would help address concerns over the controversial backstop. 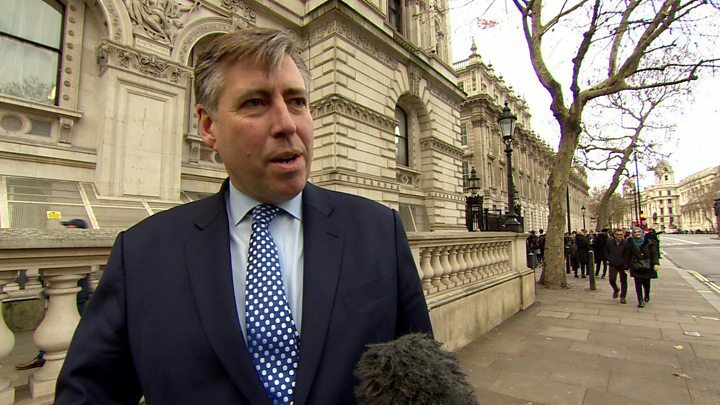 But Tory backbench chairman Sir Graham Brady said getting “clarity” on the issue was more important than “timing”. It comes after reports that Theresa May was being urged to postpone the vote, which she is widely expected to lose. The withdrawal deal negotiated between the UK and EU has been endorsed by EU leaders but must also be backed by the UK Parliament if it is to come into force. MPs will decide whether to accept it next Tuesday, but dozens of Tory MPs are expected to reject it, as are the DUP MPs, whose support keeps Mrs May’s government in power. Many MPs have expressed concerns about the backstop mechanism, which is designed to stop the return of a physical border on the island of Ireland. 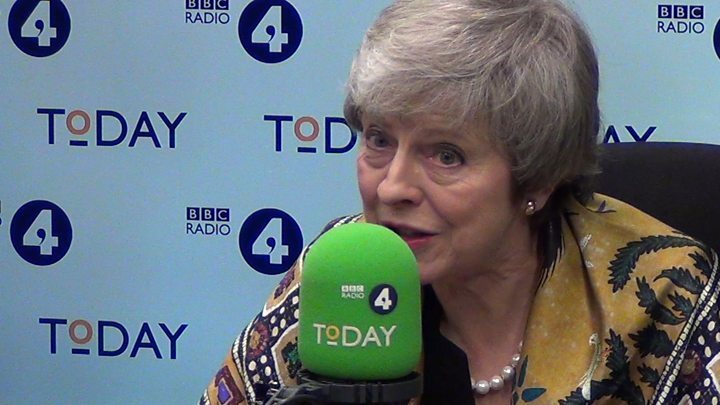 On Thursday, Mrs May suggested MPs could be “given a role” in deciding whether to activate the backstop – but told the BBC there could be no deal with the EU without it. But the Telegraph reported that she was being urged to delay the vote by ministers. Asked if the PM should delay the vote, Sir Graham, who chairs the 1922 Committee of Conservative backbenchers, told the BBC’s Newsnight: “I think the most important thing is to have clarity about how we might remove ourselves from a backstop, Northern Ireland protocol situation if we were to enter into one in the future. “It’s having the answer to that question of substance that is most important, not the timing. “So if that question can be answered in the course of the next few days, then all well and good. On Thursday, the Labour former prime minister Tony Blair, speaking at a journalists’ lunch in Parliament, said the prime minister was facing the prospect of “hitting a brick wall at speed” on Tuesday. What Theresa May sketched out on Thursday was the idea of allowing MPs to choose when and if they want to go into the controversial backstop – the insurance policy against a hard border on the island of Ireland. It’s not surprising that MPs would have a vote on that. But No 10 clearly hopes it will give some grumpy MPs a sense that they will have more of a say, introducing another layer of decision-making so that the backstop can be avoided. The prime minister’s suggestion that changes could be made to the backstop to give MPs a role were rejected by Tory MPs on both sides of the debate, who said it was “cosmetic” and unlikely to be effective. 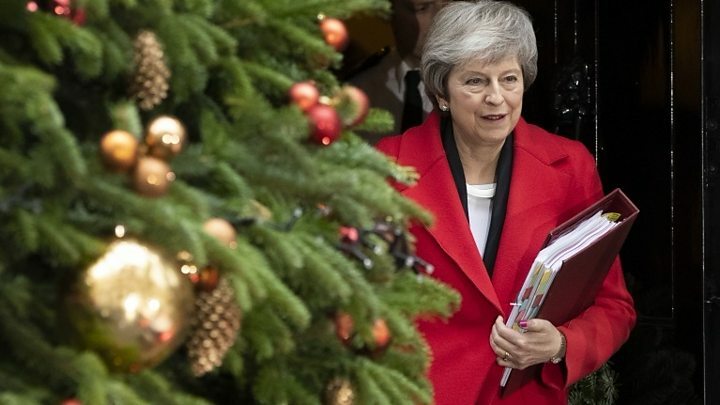 The PM did gain one supporter, however, when Eastbourne MP Stephen Lloyd announced he was quitting the Liberal Democrat group in the Commons to vote for her deal. 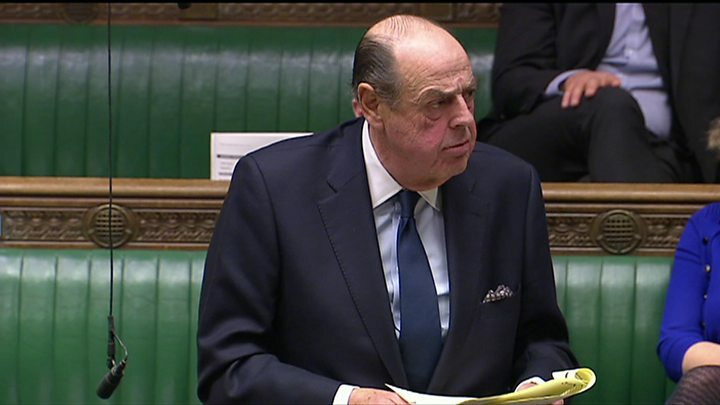 Conservative Sir Nicholas Soames has also spoken up for the PM’s deal, on the third day of debate about it in the Commons, which is focusing on the economic impact. Ministers are arguing that Mrs May’s deal creates a unique partnership with the EU, while Labour insists it will make people poorer.